Even though it is the birthplace of the modern LGBTQ rights movement, and home to one of the nation’s biggest pride celebrations every year, it turns out New York City is no better than Los Angeles, Cincinnati or Milwaukee. That’s because, just like those cities’ pro baseball teams, the Angels, Reds, and Brewers, the New York Yankees — the Big Apple’s most legendary sports team — refuses to put one day on its schedule to show support for its queer fans. 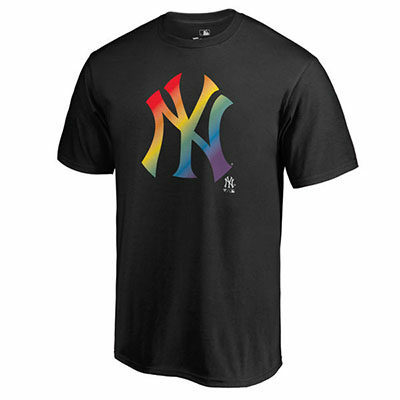 Even my pathetic New York Mets are classier than the Yankees when it comes to celebrating pride, something the Yankees have never done, and it’s unclear if they ever will. The team derided for spending big bucks to buy championships won’t put one day on its promotional schedule for pride, but is happy to sell fans a logo tee-shirt in pride colors for $29.99, plus tax and shipping. So they’re willing to earn some money off us, but not celebrate us. That’s worth a Bronx cheer in my book. However, the team insisted to The New York Times, theme nights just aren’t their thing. The Yankees have in recent years largely shied away from promotions with an ethnic or cultural flavor, although there are regular instances when they honor a cause with a brief pregame ceremony, such as last year’s Puerto Rican Day Parade. This year the team boycotted the Puerto Rican celebration, reportedly because of a speaker connected to terrorism. But the Yankees do, in fact, still have non-baseball-related theme events, including a day for military appreciation, for Peeps candy, and for Star Wars fans. Not only that, but Zillo reminded the paper how the team honored the victims of the massacre at Pulse one night last year, and invited Major League Baseball’s ambassador for inclusion, out former player Billy Bean, to talk with players, staff and to at risk youth. I disagree, Mr. Bean. As much as I admire your career, your work on behalf of closeted players and LGBTQ fans, we all know the Stonewall riots didn’t start with Sylvia Rivera and Marsha P. Johnson and queer people of color writing a polite letter to the NYPD. 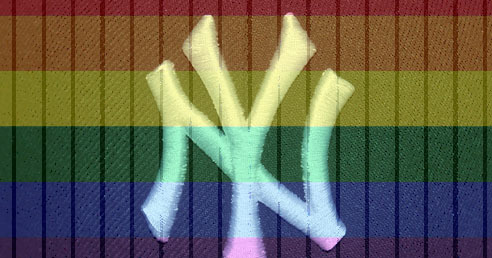 We need to not only be out and proud, but loud, in letting the Yankees and the three other MLB teams know how we feel about being excluded. Pride nights at all but four teams is a good start, but why not every team? Bigotry, that’s why. Team owners fear reprisals from anti-LGBTQ fans, or derision for hosting men who publicly display their love for other men, and lesbians locking lips on the KissCam. It was a big hit for the Dodgers, so why not the Angels, Reds, Brewers and Yankees? “Holding a special night for LGBT fans would be a powerful symbol coming from the sport’s premier franchise,” wrote Jim Buzinski in Outsports. “The absence of such an event makes the Yankees look like an outlier, behind the curve instead of leading. It’s time the team got with the times. Doing so would be a home run for our community. And it might even get me, a diehard Mets fan, to cheer the Yankees. Probably not, but I’d like to at least have the opportunity.